ABOUT THE IOTTY AWARDS® https://theiottyawards.com @theiottyawards #theiottyawards The Iotty Awards® is the world’s first-of-its-kind Purpose Driven IoT™ global media, live events, and sustainable action platform. http://bit.ly/AwardsTrailer The Iotty Awards® bold mission is to accelerate the world’s transition to sustainable technology, with an audacious goal of positively impacting two billion global citizens across all 17 of the United Nations Global Goals to Transform our World by 2030. The Iotty Awards® is a pioneering social enterprise start-up created using social entrepreneurship and social change management best practices, including public recognition. The proprietary multi-stakeholder, multi-purpose, sustainable technology platform delivers aspiration, awards, awareness, action, acceleration, achievement, activation, affinity, and amplification, globally. The Iotty Awards® are presented by The International Academy of Automation Arts and Sciences™ (IAAAS™). https://iaaas.org The Iotty Awards® proudly supports the U.N. 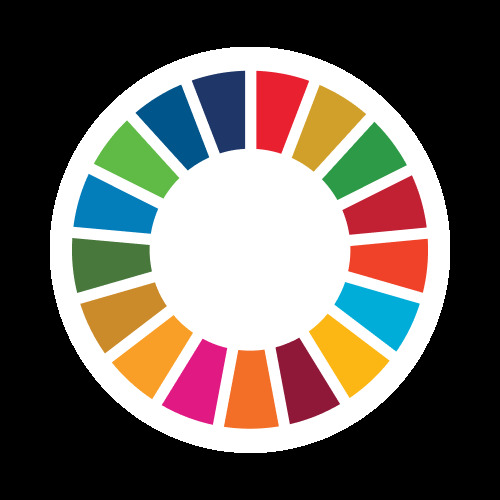 Sustainable Development Goals (SDGs), the worlds largest corporate sustainability initiative and framework for helping end poverty and inequality, protect the planet and ensure all people enjoy peace and prosperity. Like business, the Global Goals will require new levels of technology and collaboration to be successful. #globalgoals #globalgoalsweek ABOUT THE INTERNATIONAL ACADEMY OF AUTOMATION ARTS AND SCIENCES™ The Iotty Awards® are judged and presented by the International Academy of Automation Arts and Sciences™ (IAAAS™). https://iaaas.org The Academy is an independent and impartial judging body comprised of top esteemed leaders and luminaries from both the IoT and sustainable disciplines. Voting tabulation oversight of the awards is to be conducted by a top global accounting firm. The inaugural season Hollywood premiere is late Spring 2019, with the awards Call for Entries coming soon. The Iotty Awards® proprietary social and environmental impact platform aims at enabling businesses and brands, large or small, to accelerate their trust, loyalty, sales, profits, engagement and competitive advantage in the marketplace – all at the same time – while helping transform the world. The annual awards bring together the massive IoT market making the world smarter, projected by the World Economic Forum/Accenture to be $14 trillion annually by 2030, along with the enormous sustainable impact market, estimated by a Davos report to be $12 trillion annually by 2030. Moreover, a 2018 Forbes/Hitachi Vantara survey report confirmed that top execs around the globe consider IoT as the most important emerging technology, and a converging point and enabler for all other exponential technologies, including AI, robotics and all the others. Collectively, “Sustainable IoT” presents one of the most significant opportunities of the 21st century – creating both business profits, and global social and environmental impact, on a scale and scope never before seen. The Iotty Awards® are judged and presented by the International Academy of Automation Arts and Sciences™ (IAAAS™). https://iaaas.org The Academy is an independent and impartial judging body comprised of top esteemed leaders and luminaries from both the IoT and sustainable disciplines. Voting tabulation oversight of the awards is to be conducted by a top global accounting firm. The inaugural season Hollywood premiere is late Spring 2019, with the awards Call for Entries coming soon. Subscribe – to the Iotty Insider™ newsletter for latest awards news, special offers, contests and more.